Our Student Ministry serves 6th-12th graders and their families. 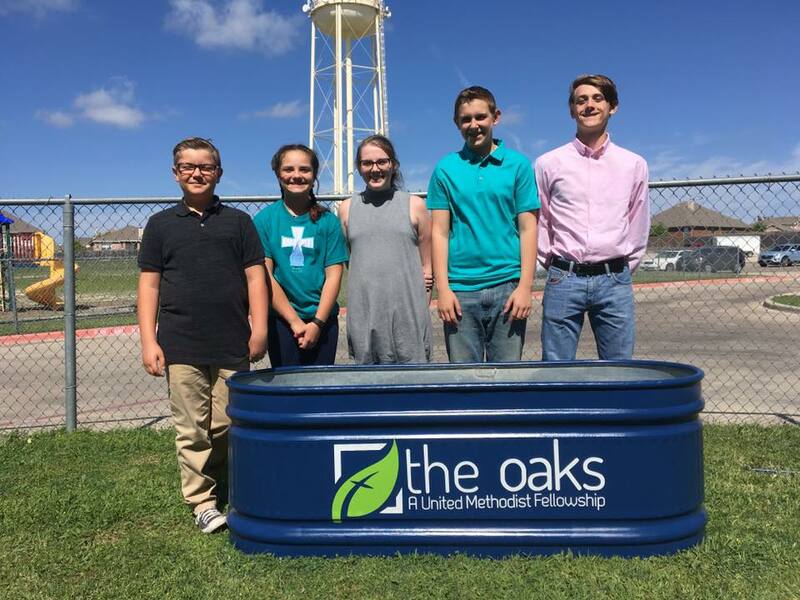 At The Oaks UMC, our students aren't just the church of tomorrow; in fact, we believe our students are part of the church of TODAY. So while we make space for students to explore their lives and faith, they are also very much engaged in the overall life of the church. Our Tweens (4th-6th grade) meet on Sunday mornings following worship, during the sermon to have their own lesson in the Library. Our Student Ministry currently meets Wednesdays (5:30 - 7:00 Jr. High & 6:30 - 8 Sr. High) at the church property (2911 Inspiration Drive, 76087). If you have any questions about Student Ministry at The Oaks UMC, contact our Student Ministry Director, Rylee. Click HERE to register for the combo Mission Trip June 16-22!